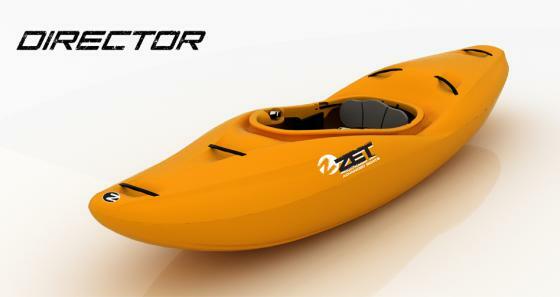 You have found the exclusive distributor of ZET Kayaks in North America! We carry the full line of ZET boats including the Raptor, Director, and Veloc. These boats are constructed with unique technology and feature some of the most advanced designs on the market. Combine the expertise of a whitewater extreme racer, top slalom paddler, and a plastics production engineer and you get the ZET design and construction team. With simple, clean hull lines, just the right amount of rocker, functional outfitting, and unsurpassed durability ZET Kayaks have become the choice of more and more advanced paddlers. Try one and find out why.